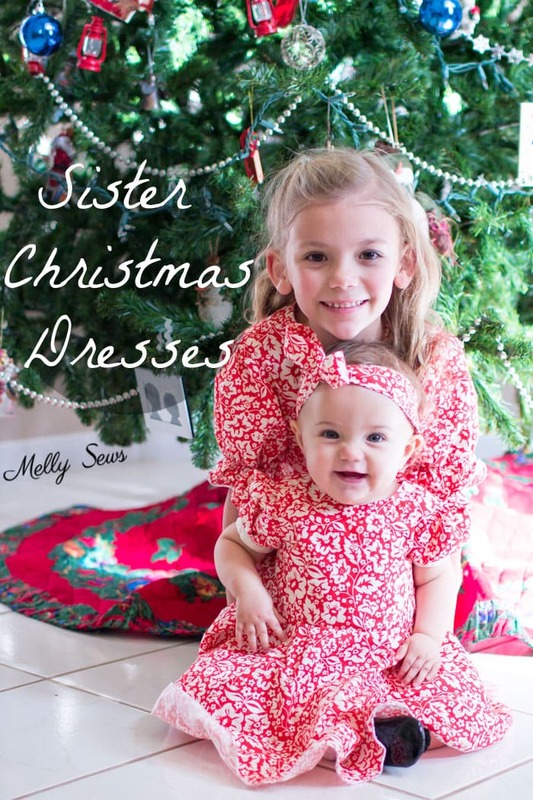 Hey y’all – today I’m sharing these matching Christmas dresses that I sewed for my nieces using my Fiesta Frock pattern. I had some of this Riley Blake The Sweetest Thing red floral for a while (this is an out of print fabric, but you may still be able to find it on Etsy) and could never decide what to make with it, but then we started talking Christmas dresses and I knew I had the perfect project. Find out more here.